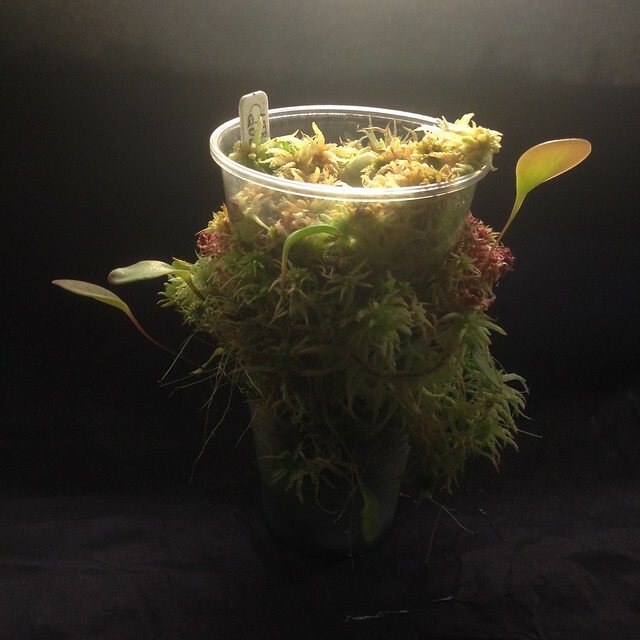 Anyone growing U. humboldtii or U. quelchii? If so, what are your conditions? Soil mix? Temps? Light? Pictures appreciated as well. U. humboldtii: Waterlogged Sphagnum on a windowsill or in highland conditions. I think seasonal variation is probably required for flowering. Not providing enough light seems to result in leaf deformation. 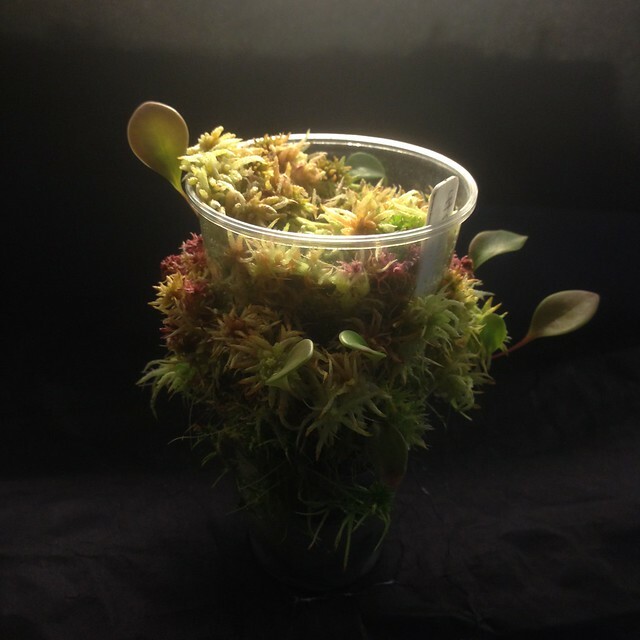 I grow U. quelchii in 100% live Sphagnum with typical highland conditions. SerMuncherIV! I've been away from the forum for a while, how have you been? Great looking plant! Thanks for the pictures and info. When you say "typical highland conditions", 75F days and 55F nights? Somewhere in that neighborhood? iamjacksplants wrote: SerMuncherIV! I've been away from the forum for a while, how have you been? Great looking plant! Thanks for the pictures and info. When you say "typical highland conditions", 75F days and 55F nights? Somewhere in that neighborhood? Great to see you back here again! Those temps are roughly what I get, it fluctuates seasonally (a bit higher in summer and a bit lower in winter). Thanks SerMuncherIV! That's very encouraging coming from you. Your plant looks great. I'm embarrassed to post mine now. Haha. I only received mine March 31st. There's been mostly less than ideal nights since then as I'm working the kinks out of the new cooling system. Finally for a little over a week now they've been getting mid to low 50s at night. There's definate new growth on U. humboldtii and what I believe/hope is new growth on the U. quelchii. I'll try to point it out in the picture captions. Sorry for the funny angles and weird light. I'm not the best with a camera to begin with and then I was trying to get the new growth... Anyhow, I repotted them as well while I had them out. Now they're both in pure, live LFS. Thanks for looking. U. humboldtii. The little stolon exploring off to the side has doubled since I received it. Same shot just with a flashlight. Not sure which looks better so here's both. All settled back in. It's coldest in front, warmer towards the back. I tried to place the humboldtii so the exploring stolon is heading right at the big clump of loose moss in front of it. Come on guys! Conditions and pics! I know SerMuncher and I aren't the only ones here growing these. Looking great! The new leaves made right after shipping were smallish and on the greener side for me too, although your plant seems to be progressing much faster - mine didn't do anything significant for almost half a year after receiving it. The grower I received it from in trade was surprised by the amount of growth given the time frame as well. To be fair though, I spotted the little green bits when repotting maybe two or three weeks after I got it, so the growth surely began in the original growers conditions. His LEDs are clearly more intense and probably have a better spectrum than my little T5s just based on the coloration. We'll see how they fill in color wise. I do a pretty dilute weekly maxsea spray of every plant in my collection so maybe that helped it keep the growth it already had going. Do you have location data or anything like that for your clone? I recently picked up another clone and the differences are pretty remarkable. The second plant is 'Geoff Wong' clone and looks much more like your plant in structure, size and coloration. I kinda jumped into the section with both feet once the alpina flowered. I've also added a second humboldtii, jamesoniana, geminiloba, 'jitka' and humboldtii x alpina - all of which seem to be doing well and there's even new growth on the second humboldtii, geminiloba and jamesoniana. The only one that's giving me trouble is the 'jitka'. It's lost all but one leaf. Not sure what to do about that one and it's one of the more elusive as far as specific info. I switched it to a net pot to keep it a little drier and reduced the light a bit and increased the temps some. It seems to have stabilized but I'm still somewhat fretful. Haha. It's funny, my alpina did the same thing when I got it. It died back and I had pretty much given up on it and was going to use the pot for something else. When I started pulling the LFS out there was a giant tuber in there so I pushed everything back together and put it back where it was and now I can't get rid of it. Anyhow if you happen to be growing 'jitka' any tips would be appreciated. No location data for my plant unfortunately, all I know is that it is likely from BCP and grows well in intermediate conditions - most likely not from the upper end of the elevation range, then. Ah, I see. I believe this one is one of the upper elevation clones, but that is based solely on the temp. recommendation of the grower I received it from. He said "This is a rare and hard to replace clone - grow it as cold as possible. Next to N. diatus or N. villosa if possible." No specific location data though. Hopefully our plants continue to do well for us so we can swap starter divisions in the future. Just a couple quick pictures of some pretty significant new growth on the quelchii. It's hard to see the way the plant normally faces, so I turned it a bit for the first pic.